Shown below are some of our key products and services that we can provide, and there are plenty more... please highlight each one for more details. The Cloud Network engineers are incredibly knowledgeable when it comes to IT and Cloud set ups. They have assisted us with everything from our email, web feeds to internal TV displays. A great company! Very Knowledgeable within the industry and got the Job done very quickly and efficiently. Below are some of the reasons why we believe you should choose The Cloud Network for your technology and services provider. 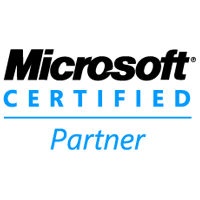 A certified Microsoft™ Partner who can fully install, maintain and support the Microsoft™ range of products and services. Certified engineers with a combined experience of over 25 years. Migration specialists who can provide seamless transition from current in-house systems over to the very latest Cloud based solutions. 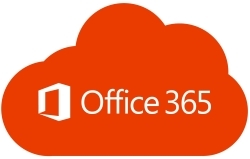 Provision of advanced email services via the latest Hosted Exchange™ Servers utilising Outlook 2016™ brings the very latest in communication provision. Combine this with Skype™ along with advanced SPAM protection, archiving facilities, Email Marketing, E-shots and other communication services to maximise your communication needs. Collaborative file sharing is crucial for maximum efficiency nowadays and our UK Cloud based storage provides the most secure and accessible file sharing whilst providing peace of mind that all your intellectual property remains safely stored and encrypted within the UK and is subject to data protection under UK law. Our market leading telecom solutions provide the very best in voice services using the latest in mobile, fixed, and hybrid systems including SIP, VOIP, 4G and digital VC. Cloud IP handsets which work anywhere in the world and provide the user with full access to manage and control their settings, along with free calls between handsets regardless of location. We take pride in providing the best support experience for all our customer requirements, and we can configure bespoke support to suit the needs of the client. Contract & Call-out support, 24/7/365, Remote monitoring, Remote access, Auditing, Business Continuity Specialists and Disaster Recovery. We can provide all the services required to maintain, build and support your internet presence. Specialists in DNS and domain management along with skilled developers, we can provide the expertise you need. Development of the latest responsive sites for use on all browsers, SEO, profiling, reporting, backups & more. A name you can trust to deliver! We take pride in our reputation and ensure that the best possible service is provided at all times. Why not give us a call to see how we can improve your technology and communications as well as potentially reduce your support costs and TCO. The Cloud Network™ is the IPO registered trading name for Silverlined Ltd. Registered office: CKR House, 70 East Hill, Dartford, Kent, DA1 1RZ. Registered in the UK Number 08491402. Registered for UK VAT No. GB162744308.